I just moved into my new student accommodation 2 days ago after spending 7 weeks travelling around Germany visiting friends and family. I’ve visited castles, lakes, mountains, ski slopes and the zoo and have been part of the Carnival. I’ve travelled about 40 hours on trains and 15 on busses, and saw some people I hadn’t seen in 5 years. And now I’m at my destination, Munich. 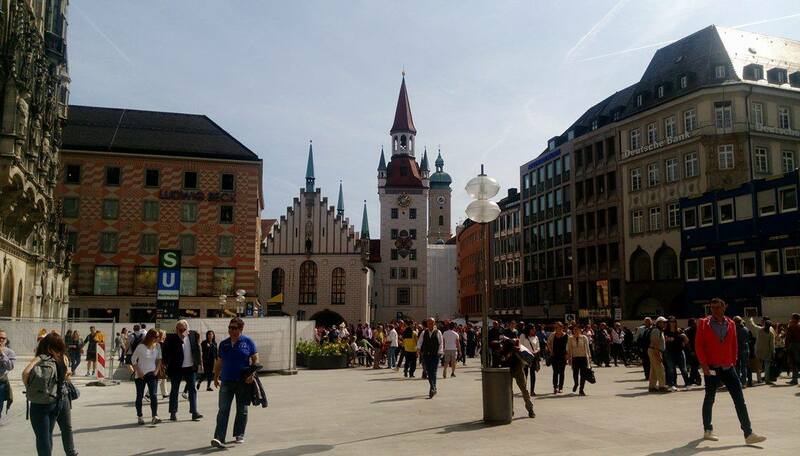 Munich is a beautiful city surrounded by mountains, lakes and fields, full of history with old and interesting buildings, mouth-watering beer and food and I’m sitting here thinking about community. Humans need and thrive in community, as I reflect on my past 7 weeks I think of the various communities I have been a part of. With old friends and family who I haven’t seen in years – catching up, talking and laughing as if I hadn’t left. I got to hang out with my girlfriend this weekend as we explored Munich and castles and the student accommodation. This morning I skyped my family and a close friend in Australia – I still get to enjoy and be part of that community even though there are 16,000km between us. But the most memorable form of community I had was last night at church. My girlfriend and I walked into a church, not knowing a single person (and my girlfriend not knowing much German) but came out feeling part of a community. When people open up their community to you in a loving and generous way it is noticeable! After church we went for a beer with some of the others and it was such a good time getting to know people, when we got up to pay it was already 1am! Now as I sit alone in a new apartment in a new city I’m reflecting on how good community is and how I can be part of making this an experience for more people. When we look at the communities we are in I think we can learn something from this church. We know how great it feels when communities are open and generous to us, but I am also sure most people know and have experienced the reverse too. So it starts with us, let us open up our communities to others, let’s be welcoming and interested in new people so they may share the same experience. First I’m heading to the student bar to have a beer and make some friends. Previous Previous post: Salut, Bonjour et bonne journée!